Security and efficiency make desktop wallets to be unique. In regards to safety, desktop wallets can be customized to be offline or online wallets. This can be done depending on Crypto trading or Blockchain transaction schedules of a user for security measures. Exodus desktop wallet unveiled in 2015 by JP Richardson -Chief Technical Officer and Daniel Castagnoli- Chief Creative Officer. It is designed for Windows, Linux and Mac OS X on PCs and Laptops. The wallet supports a wide range of Crypto Assets such as BTC, LTC, ETH, BCH, and 85+ more Tokens. It is a one-click seamless exchange platform that is ideal for investors with a need of managing a wide range of Digital Assets portfolios. On the security aspect, it encrypts the private key and transaction data to privatize transactions to the next level. Live charts and a user-friendly interface are some of the additional features that make Exodus to be a leading Crypto wallet. This is a no-registration, multi-currency, and multi-platform wallet. It supports over 150 Cryptocurrencies which gives it an edge over competitors. Further, Jaxx is a multiplatform wallet that can be customized for a mobile, desktop, or any device since there are program versions for Windows, Android, iOS, Mac OS X, Linux, and Google Chrome. This, therefore, allows a user to have an unlimited access to the wallet depending on convenience. Besides the community feature, there is an encrypted 2-word backup phrase security feature that manages and generates private key layers to your digital assets. 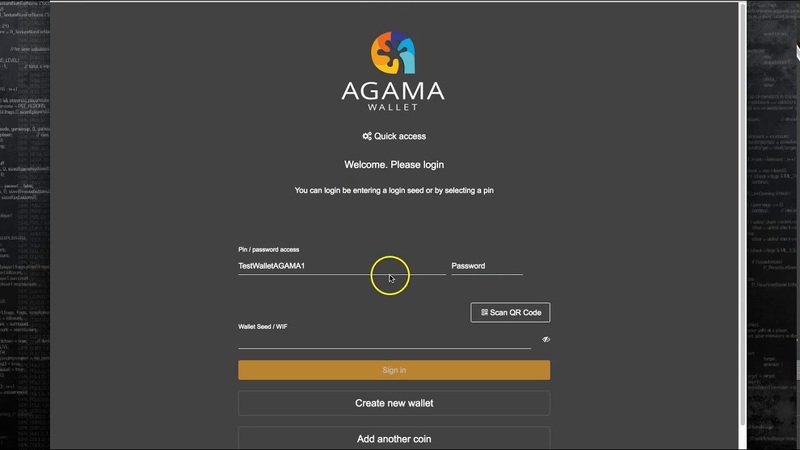 Agama is a desktop Crypto wallet that is available for Windows, Mac, and Linux operating systems. It supports 12 Digital Assets such as ZEC, ZET, UNO, LTC, KMD, GAME, FRK, DOGE, DGB, CARBON, BTM, BTCD, and BTC. Made by supernet.org, it stores private keys as a wallet.dat file for maximum security without encryption. This makes it very safe to use particularly if the device is secured from unauthorized access. Agama has an in-built Crypto exchange platform known as EasyDEX. Notably, it is a very easy platform with promising features as it is still in its beta stage. 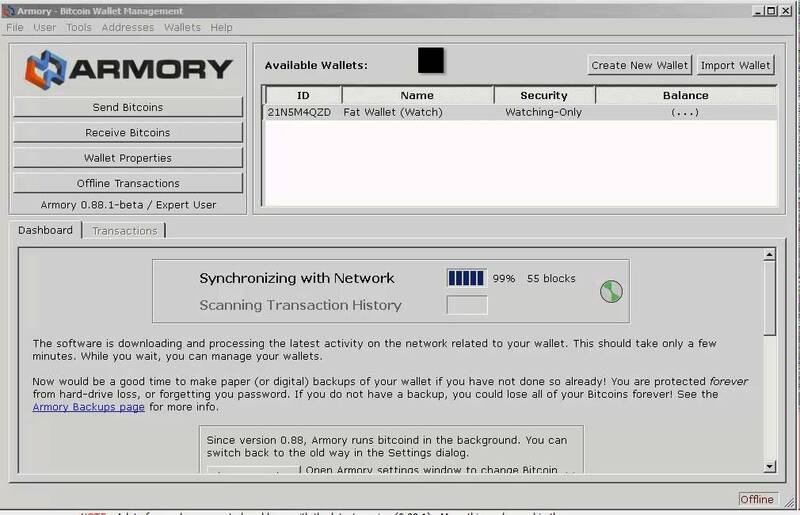 Armory is a BTC desktop wallet that guarantees maximum security through encryption, cold storage, and backup features. It is also ideal for volatile environments as it uses a 2-factor authentication, or a passphrase to secure BTC from hacking malware. In addition to improved privacy features, Armory has RBF and CPFP features that give users control over transaction fees. This has an impact of creating instantaneous BTC remittance. It is also ideal for transparency as it published the source code for review following transactions. The Electrum desktop wallet is specifically designed for BTC storage. It uses serves that index Bitcoin network making it able to process very fast transactions. Other features include; no lock-in, SPV proof checking, no downtimes, and multi-signature features. Interestingly, since its development in November 2011 by Thomas Voegtlin, its source code has been developed by leading experts on GitHub. This makes its interface to be user-friendly, appropriate for all users and also trustworthy.